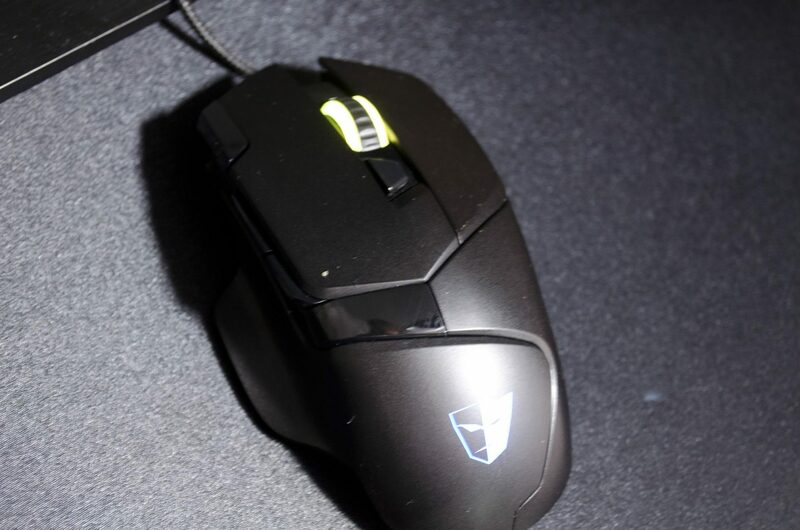 Following on from our last Tesoro review on the Excalibur Spectrum Keyboard, we will now be taking a look at their latest Ascalon Spectrum H7L Gaming Mouse. 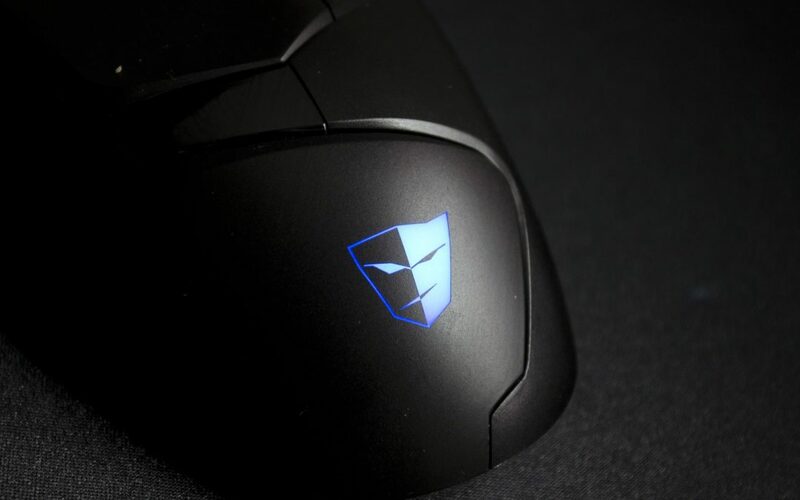 The Ascalon is an ergonomic right-handed mouse that features 7 individually programmable buttons alongside its RGB functionality. 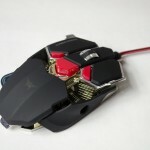 Tesoro designed this mouse to be composed of some of the best components on the market and they did a great job. 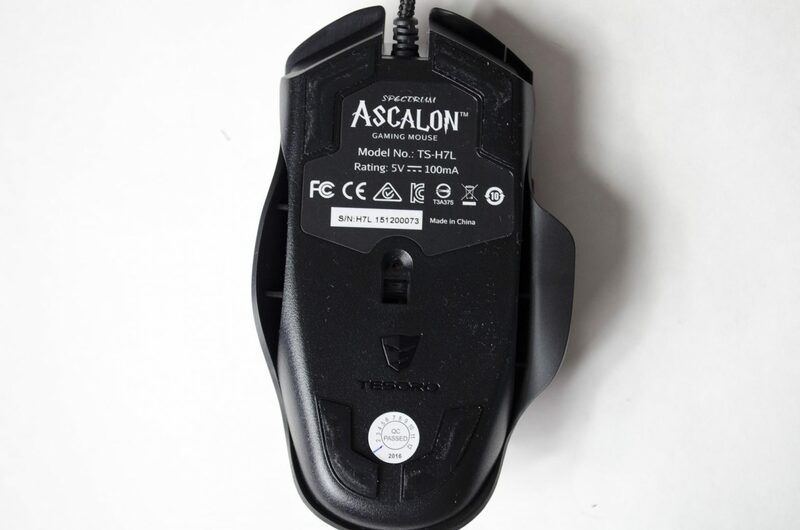 From the Omron switches under the buttons, to the 6400 DPI Optical Sensor, the Ascalon surely doesn’t disappoint, unless, of course, your a lefty. However, it’s easy to throw a few good components together and come up with a half decent mouse. Is that what Tesoro have done? 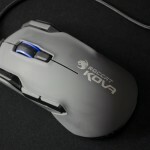 Or, have they gone the extra step and designed an amazing mouse that performs as well as it looks? Well, only time will tell so let’s get to it. Tesoro have a way with packaging and boy, they have not let us down this time. You get purple, you get a purple, everyone gets some purple packaging! All jokes aside, yes, Tesoro like to use purple on their boxes and there is nothing at all wrong with that. What it does do, is make their packaging very distinct. It is easy to tell this box belongs to a Tesoro product and if you are a fan, that is a great thing to see. On the front, we have a nice large image of the Ascalon itself in all its beauty alongside some of the more desirable specifications it has to offer. One thing I love to see is packaging that actually lets you get a look at the product it is keeping inside. This allows users to get a proper look instead of one that could be highly rendered! 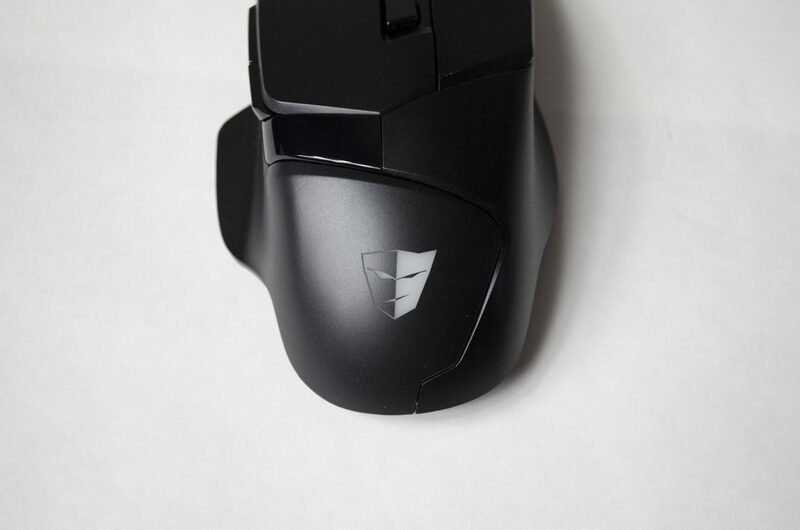 Tesoro has added a nice flap to the front of the box so you can go ahead and pull it up and have a look at the exact mouse inside. 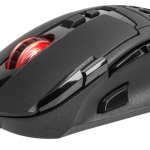 One the back Tesoro have gone into a bit more detail on some of the features the mouse has to offer. Here we can see they mentioned the 32bit ARM processor and 512 KB of memory so you can store profiles right to the mouse itself. 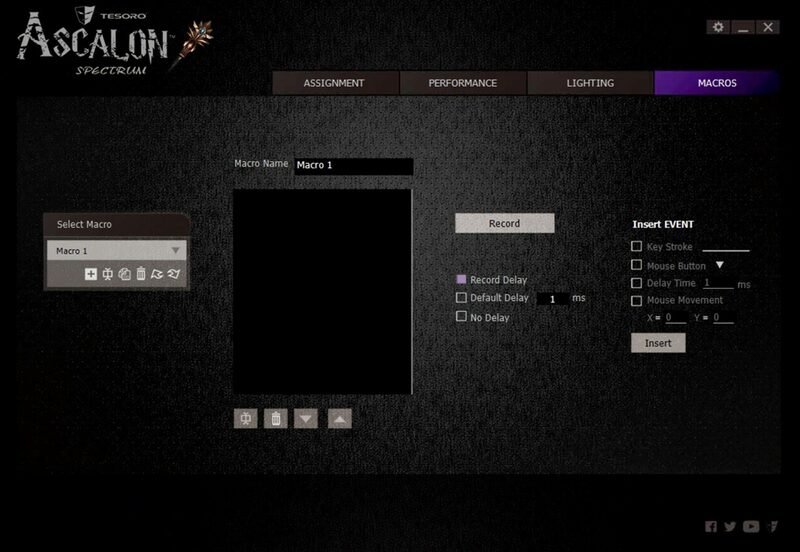 Getting our first proper look at the Ascalon Spectrum H7L and it has a very dark and overall black look to it. The only places that aren’t black are the Tesoro head logo and the sides of the scroll wheel where the RGB LEDs will take over. I am a fan of the Tesoro Face/Mask logo. For whatever reason, it just looks good to me and is a warm welcome on a gaming peripheral, especially seeing as to how it lights up as well. Let us also not forget that under the hood, there are a 32bit ARM processor and 512 KB of memory so you can save your profiles right to the mouse. This will let you access them without software meaning you can switch between them while in-game which is great. The main two buttons feature Omron switches in them which are both durable and highly responsive. These switches are designed to take up to 10 million clicks, which depending on the game you play, could be a month or a year! 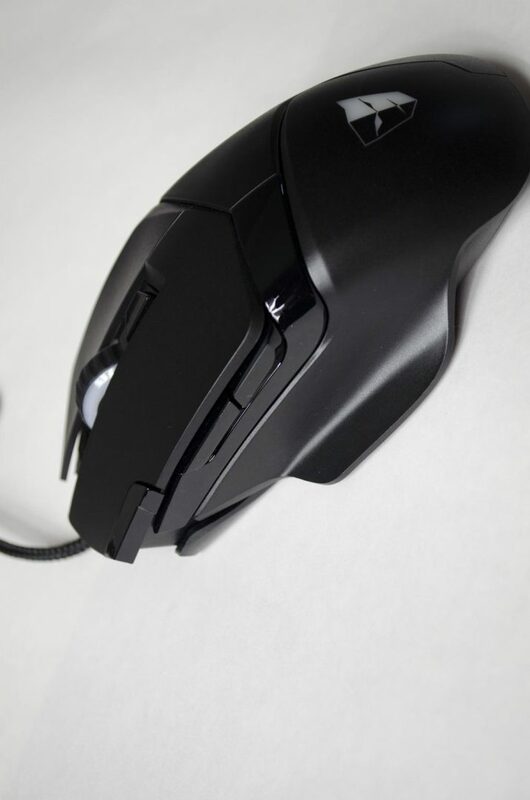 Jokes aside again and this is a great rating to have on a mouse as it is designed to stand the test of time and help you dominate your opponents for a long time. 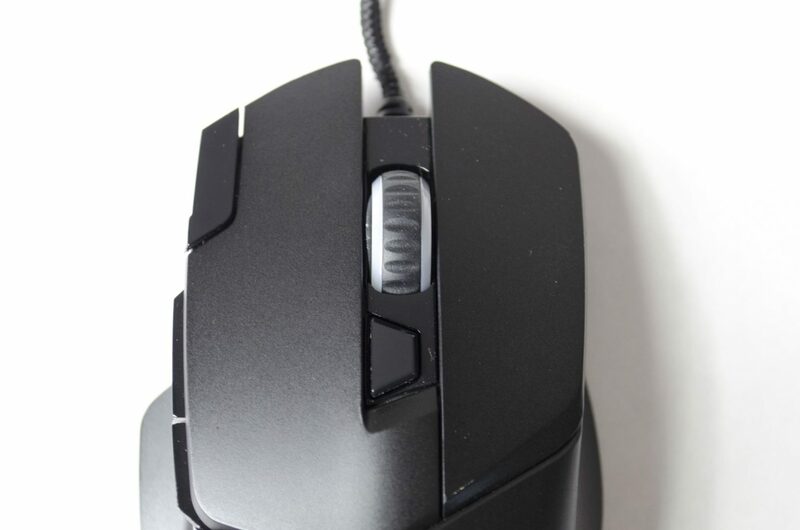 On the top left of the mouse 1 (left) button, there is trigger button for easy access. This simple allows you another button that you can easily use when needed, came in great handy for grenades during my Call of Duty Testing. It also came in handy for sniping in BF4, using it to lower the DPI so I could get a more steady shot off. The possibilities are endless! 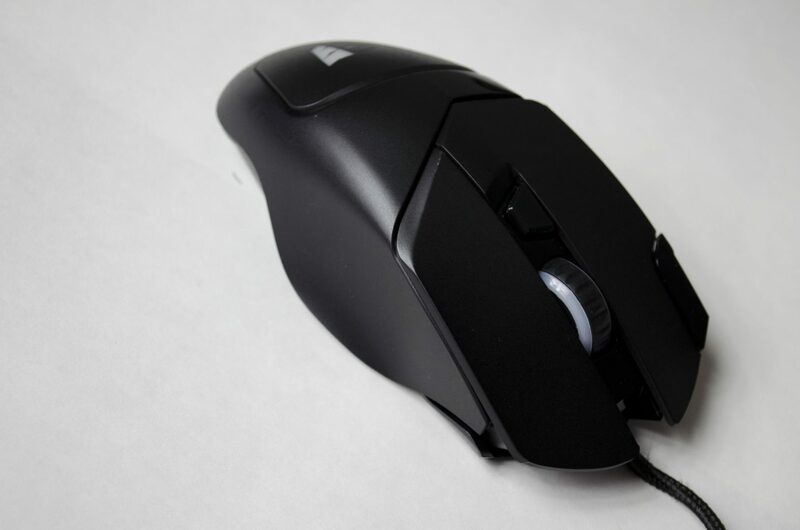 On the left side of the mouse are what are now a pretty standard pair of buttons on gaming mice. These buttons are generally set to be forward and backwards browser buttons, but, of course, can be set to a number of commands. I use these buttons daily for navigating through websites and folders in windows as the forward and backwards feature is just handy to have. In games, I normally set them for grenades or some other sort of non-primary weapon function. 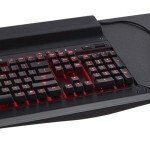 Also, notice the thumb pad so your thumb isn’t dragging across your mouse mat! Good thinking Tesoro. 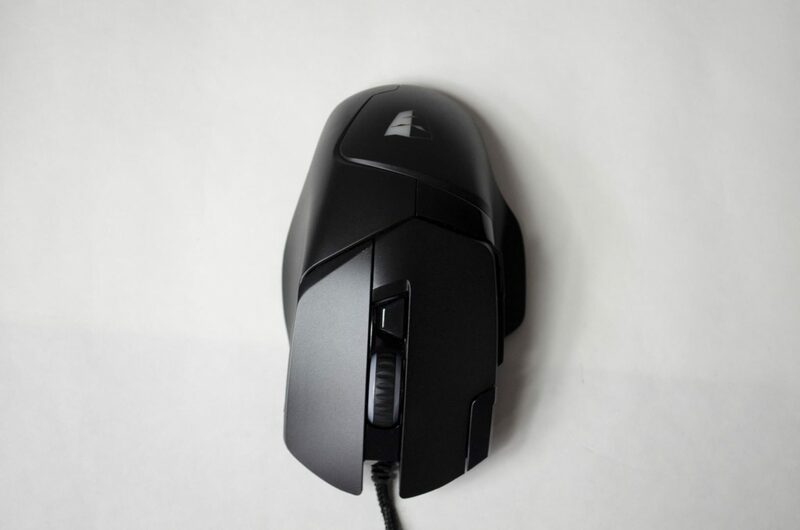 Over on the right, there isn’t much going on but there is a nice contour to the mouse so it better fits the shape of your hand. 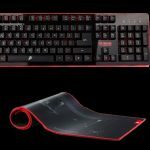 This will allow you to have a better grip on the mouse and will also allow for better comfort for those longer gaming sessions. 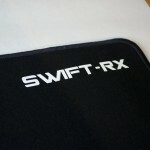 On the bottom, we have 4x fairly big glide pads so the mouse will move smoothly across your preferred gaming surface. We can also get a better look at the more ergonomic design features from this angle. The Ascalon comes with a 2metre braided cable. 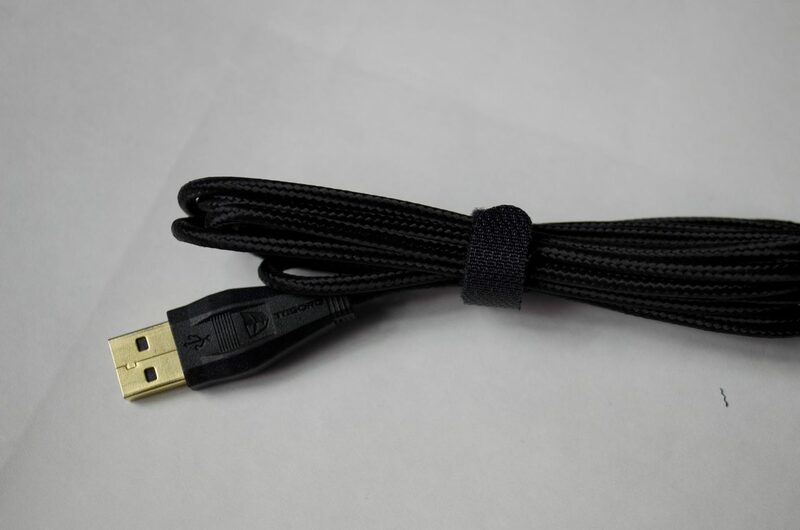 Braided cables are pretty much the norm for gaming peripherals now as not only do they look nicer, they also increase the longevity of the cables they are protecting. 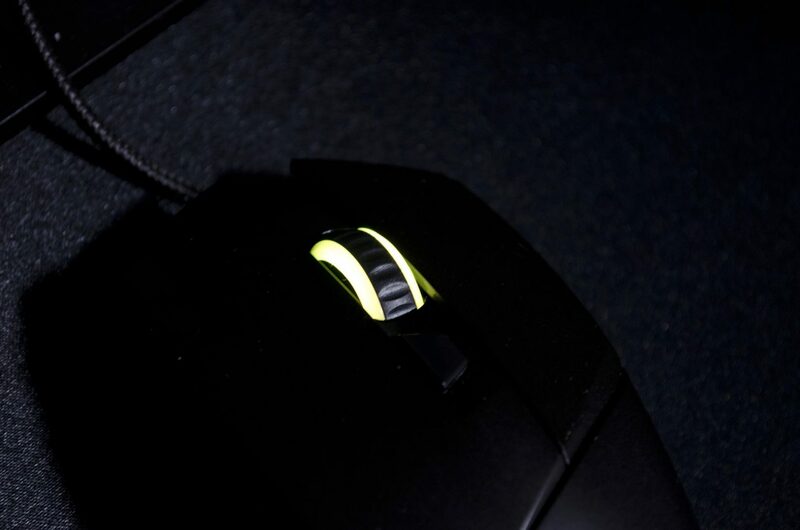 As mentioned, there are a couple of RGB LED spots on the mouse. 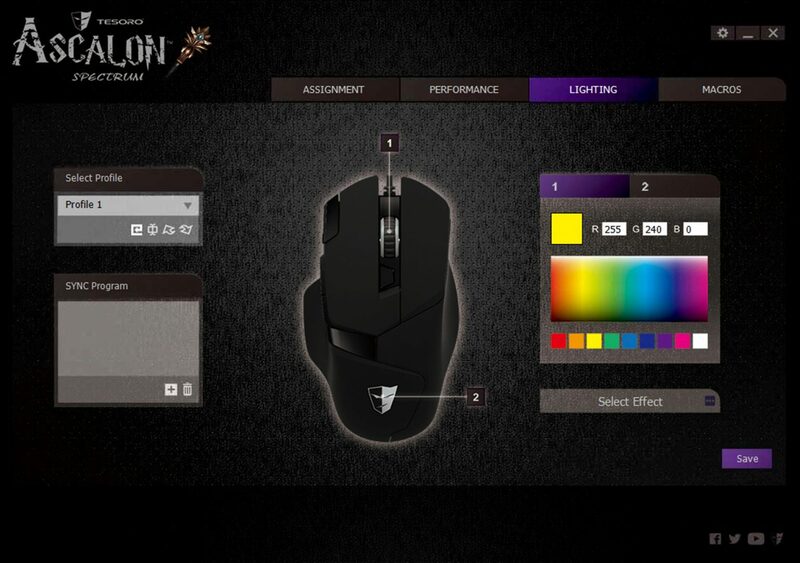 The Tesoro face logo and the mouse wheel can both be set to different colours with some different effects using the Ascalon mouse software. The software for the Ascalon Spectrum H7L is quite easy to use and very straight forward. There are four main tabs across the top that will allow you to choose different areas for customization. 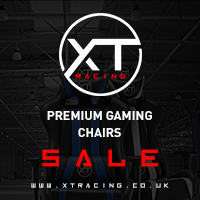 You’ll notice on the left there is a select profile option that will allow you to change to the desired profile you want to edit across all the screens. The first, “Assignment” tab is where you can change what functions each key has. Simply click the one you want to change and then select its new function. 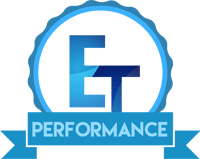 The performance tab is a bit more for the advanced users looking to fine tune their mouse to their preferred requirements. Here, you will be able to change the DPI, scroll speed, polling rate acceleration, double click speed, snapping angle and life height. If you are not sure what all these do, you can either leave them be, or you can test them out by changing them and seeing if you notice any difference in the mouse. 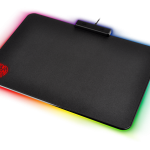 The 3rd tab is our lighting tab which is where you can change the colour of the LEDs that are illuminating the Tesoro logo and scroll wheel. Lastly, you can set macros on the 4th tab and then go back to the 1st assignment tab and assign them to a button of your choosing. While I do not personally use macros, this is a good feature to have and will no doubt come in handy for many. After a couple weeks of thorough testing, I feel it is time to wrap it all up and let you guys know how I feel about the Tesoro Ascalon Spectrum H7L. There is no denying that it all looks good on paper, and even in person but does it perform as good as it looks. 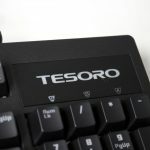 We know Tesoro wanted to design it using some of the highest quality parts available, which is always good. Now we just need to know if it lives up to the hype so let’s hear my final thoughts on it. 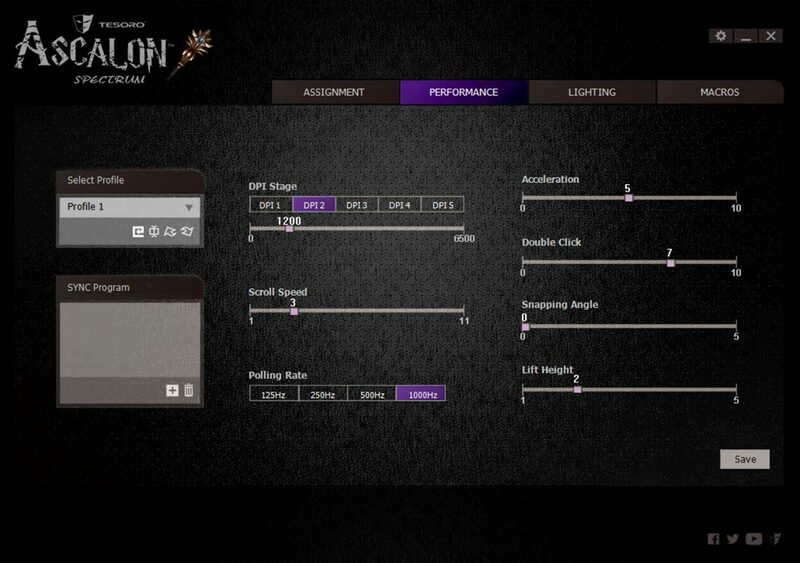 Boasting an optical sensor with a true DPI of 6400, the Ascalon offers great performance and precision while gaming. Whether you’re flying around bunny hopping and rocket jumping in Quake Live, or going all sneaky deaky like in CS:GO, the Ascalon is a well worthy companion. There is no noticeable acceleration at stock settings so the mouse does exactly what you tell it to. For those times when a bit more precision is needed, you can set the trigger button to act as a sniper button by lowering the DPI, giving you even further control of your cursor. 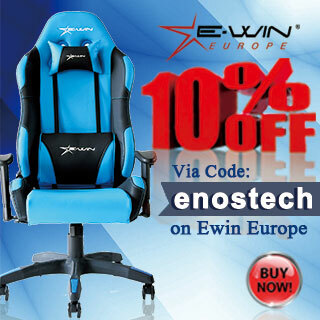 The Ascalon features a rugged and durable design. The plastics don’t feel flimsy or cheap and we know Tesoro didn’t skimp on the internals. 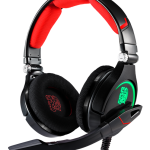 The Omron switches, when combined with the Optical sensor found in the Ascalon are a deadly combination and gamer would be lucky to have in their arsenal. 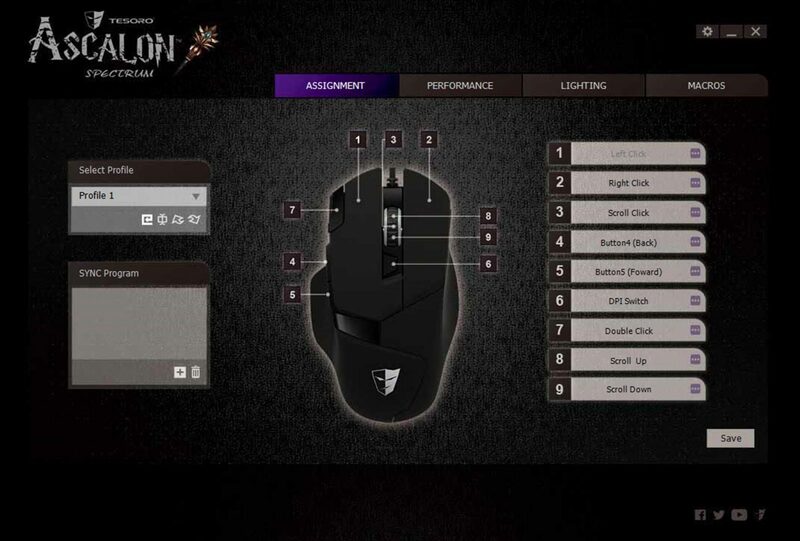 Durability and quality aside, let’s not forget about all the features Tesoro packed into their Ascalon mouse. 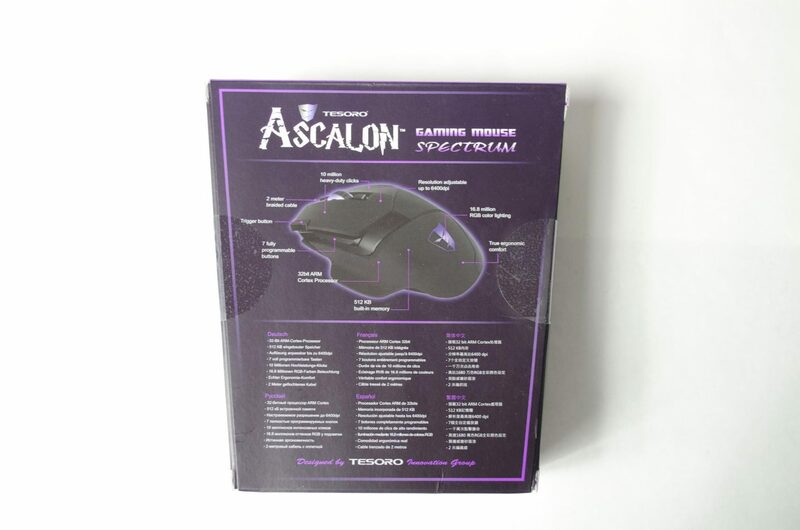 Things such as the RGB LEDs, on the fly DPI switching, Macros, 7 programmable buttons – including the trigger button, 1000 Hz polling rate and more just help to add to the overall greatness that is the Ascalon. Coming in at a $70 MSRP, the Ascalon has a lot going for it, but most of all the amazing performing sensor really sets it all off. The precision of the sensor is truly amazing in both slower and faster paced settings and alone is just about worth the asking price. Tesoro didn’t stop there, though, oh no! 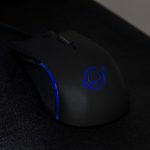 They went on to add Omron switches and a plethora of amazing features and customization options that help make the Ascalon a very competitive mouse, especially at its price point. 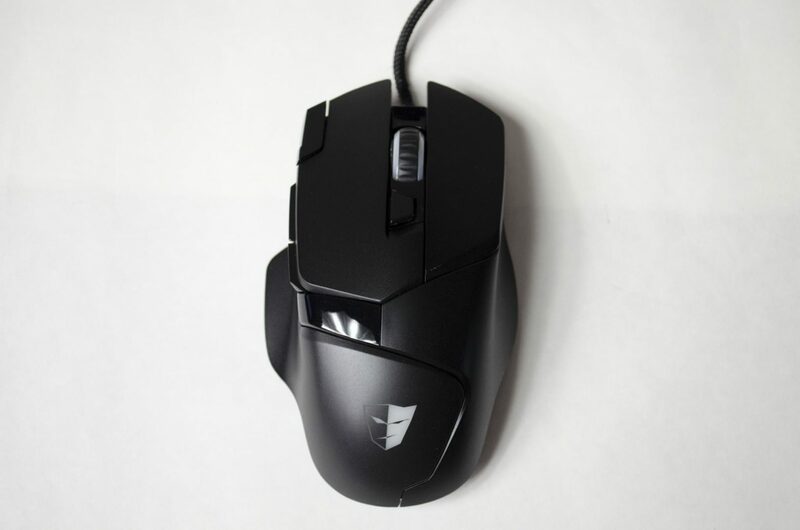 There are currently mice that have less to offer and not as good performance that is asking similar prices and the Ascalon simply puts a lot of them to shame, well done Tesoro! 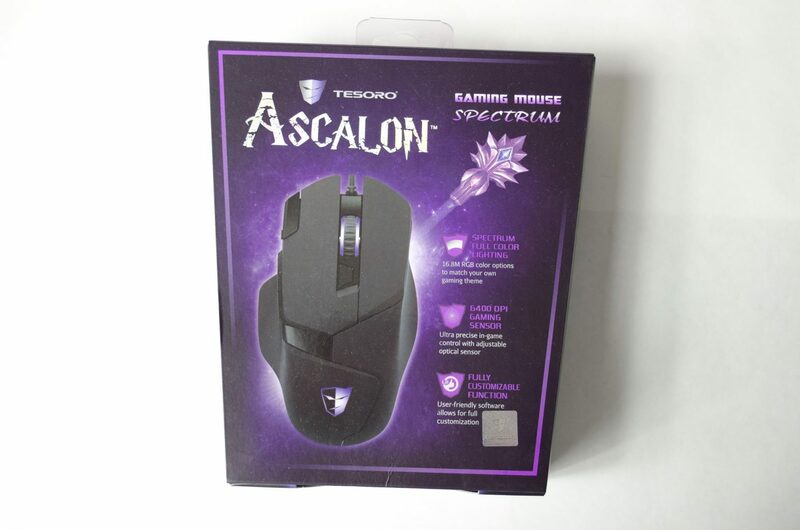 Many thanks to Tesoro for supplying a sample of the Ascalon Spectrum H7L Gaming Mouse. 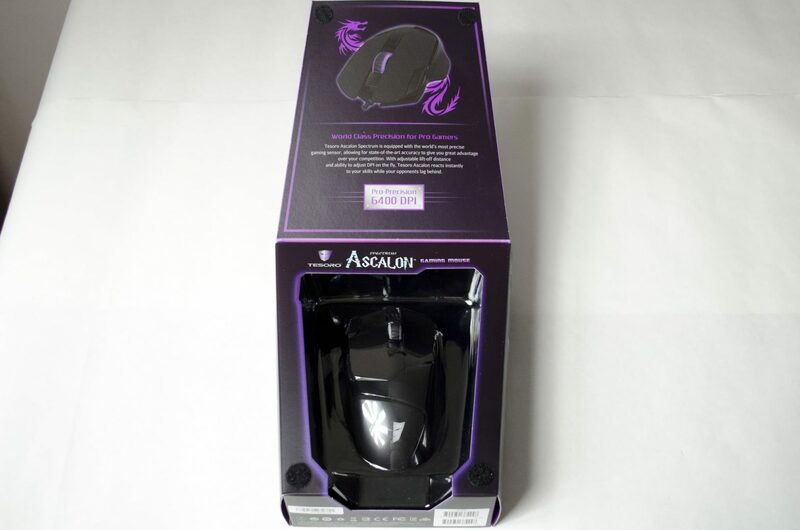 Want to discuss this review further, head on over to the Tesoro Ascalon Spectrum H7L thread, in the Enos Tech Reviews Sub-category on the Gaming Exodus forums!